Tumusifu graduated from Rwankeri Adventist Academy in November of 2016 with Impact Hope. 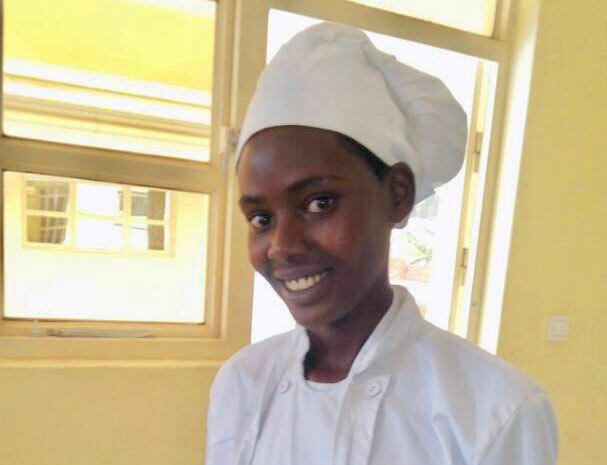 This year, she has been studying Culinary Arts at the IPRC West technical school in Rwanda and is now participating in a culinary internship. 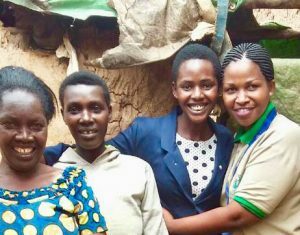 Tumusifu is pictured here with Aurea, (Impact Hope’s Rwandese director working with ADRA Rwanda), her mom and sister. Tumusifu has a contagious smile and is so excited for her future! Because of Impact Hope, she has the dream of opening a bakery with a classmate and selling baked goods in the community. Once established, Tumusifu can then bring her family to live outside of the refugee camp. As long as a Congolese refugee is not dependent on the Rwandan society, they may in fact live outside the camps. Because of the infrastructure growth in the country of Rwanda, there are increasing demands for technically skilled people in all fields. Realizing this need, Impact Hope sees that a technical skill gives the best opportunity to our refugee students to obtain jobs upon completion of upper secondary and technical school education. We are excited to see dreams of our students become reality because of those who have dedicated their funds to help give this chance.